Frecon Orchard, in Boyertown. All was quiet but you could see the preparations for the growing season. Row after row of apple trees had been pruned to enhance fruit production. All of the pruned twigs were piled between the rows. 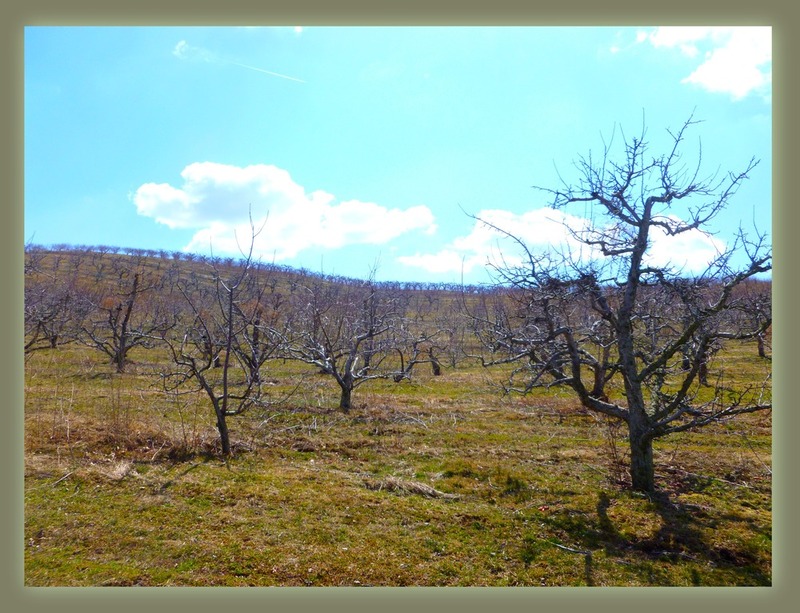 Visiting the orchard this time of year is beautiful - the perfect rows of trees blanketing the landscape. 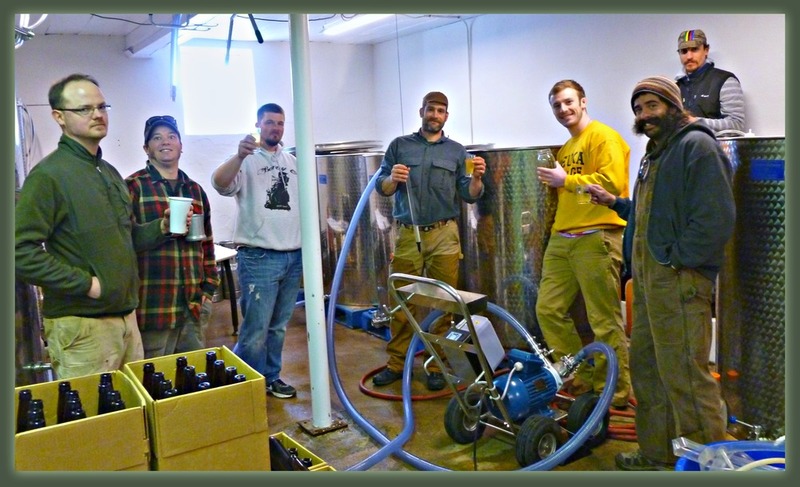 We did manage to find some folks hanging around the orchard - the brew crew had just finished bottling cases of Early Man, Frecon's hard cider. As luck would have it, taste testing of their Crabby Granny hard cider was in progress - they were happy to share a glass. Many thanks!